Romanian democracy and state of law are facing a new challenge 25 years after the fall of communism as the country heads to the polls to elect a new president on Sunday. Social Democratic prime minister Victor Ponta, the ethnic German mayor of the city of Sibiu Klaus Iohannis spearheading the opposition and 12 other candidates are vying for the seat which incumbent President Traian Basescu has held for ten struggling years. The first round of elections today ends a campaign like no other in Romania's recent past, with no real political debate but marred by a sweeping wave of corruption-related arrests, suspicions of intelligence services interfering with the political process, and a heavy use of biased media to smear rivals and shove sensitive issues under the carpet. Some 18 million Romanians are invited to cast their votes in the first round of the presidential poll on Sunday. A second and last round of the elections is due in mid-November. They have to make a decision following a month-long campaign during which there was not a single face-to-face confrontation between top candidates, with leading presidential contender Victor Ponta systematically refusing any such debate. Throughout the month-long campaign, opinion polls have put PM and Social Democratic Party (PSD) head Victor Ponta, 42, in the lead. He is followed by Sibiu mayor Klaus Iohannis, who runs as the candidate of a new alliance of opposition Democrats and Liberals. Both Ponta and Iohannis are credited with double digit percentages in voters' preference. 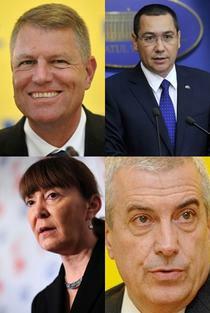 They are followed at a far distance by a group of other candidates including Elena Udrea, a former minister and close collaborator of Traian Basescu; Liberal maverick Calin Popescu Tariceanu, who served as prime minister during Basescu's first term; Monica Macovei, a former Justice minister and more recently member of the European Parliament, best known for her political fight against corruption; and Theodor Melescanu, a former Social Democrat turned Liberal politician who for the past two years has served as head of Romania's Foreign Intelligence Service. Victor Ponta, a former magistrate who has become the leader of the Social Democrats, has served as prime minister for the past two years. during which he focused mostly on his fight with President Basescu and on populist measures which earlier this year brought Romania into technical recession. Since taking over as head of the PSD in the wake of the 2009 presidential elections, lost by his predecessor Mircea Geoana, he was one of the leaders of a massive push to undermine the authority of President Basescu. This included a referendum to remove Basescu from power in 2012, using many measures against the state of law which have risen alarm among Western allies. His government and parliament majority also made moves in support of tainted politicians against a wave anti-corruption inquiries. Ponta also managed to overcome proven evidence that he has plagiarized his PdD thesis and remained in office despite saying he would withdraw should plagiarism be proven. He has gained a reputation for double language - supporting domestic anti-graft bodies in international interviews but attacking them at home, or promoting decisions as prime minister while rejecting them as a member of the Parliament. He is seen as the political heir of former PM Adrian Nastase, who served in the early 2000's and who more recently served a prison sentence under corruption charges. While publicly supporting Romania's Western alliances, Ponta has been pushing for a close partnership with China, took a long time to have a strong stand regarding Russia and was one of the very few leaders in democratic Europe who attended the opening of the Sochi Olympics. Victor Ponta has explicit or quiet support of the main TV channels involved in covering the presidential campaign. He thus managed to retain leadership even despite a series of high level corruption cases launched against top PSD politicians - including some of his backers and his own father-in-law - during the electoral campaign. Ponta's name also appears in a corruption case in which the indicted politician, a local PSD "baron", peddles influence through a phone call from the very office of the prime minister, according to prosecutors' claims. During the presidential campaign, Traian Basescu has claimed Victor Ponta used to work for the intelligence services back when he worked as a prosecutor, an allegation that Ponta neither confirmed nor denied clearly. Klaus Iohannis, 55, is an ethic German who has been a physics teacher before becoming mayor of Sibiu, central Romania in 2000. He has served as mayor for 14 years, with a strong local support. He's name was circulated as a possible Liberal-supported, politically neutral nomination to head the government earlier in Traian Basescu's second term, but Basescu opted him out. Iohannis was nominated to run for President by a new alliance forged this year between the Democratic Liberals - the party who had previously supported Basescu but broke up with him - and the National Liberal Party. His slow rolling speech failed to make a big impression during the campaign, even more so as he, running under the slogan of a "Romania of well done work", appeared to prefer a position of non-combat against his main rival, Victor Ponta. His popularity based on his coming forward as the main candidate of the opposition, he was the main target of smear campaigns by Ponta's media backers, who dug up old stories of child trafficking and other alleged abuses without proper evidence supporting the claims. 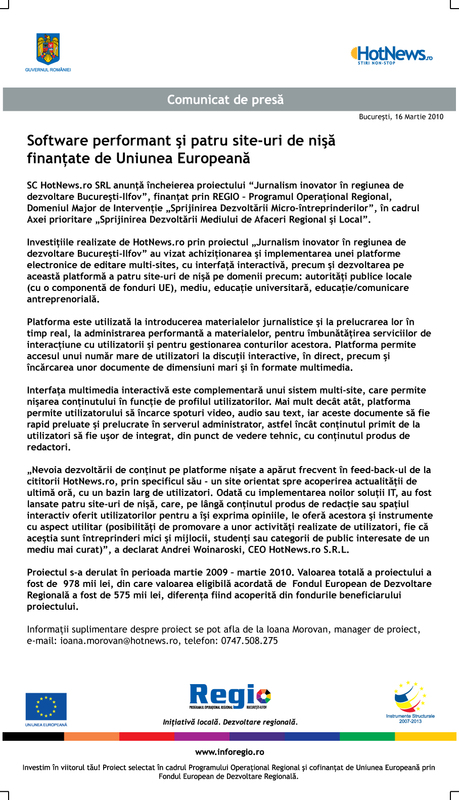 Prior to the election campaign, Iohannis has been declared incompatible in his office as mayor because he also served in the boards of two companies, but he challenged - and won an annulment of - the verdict. Yet, the National Integrity Agency pressed on with the incompatibility case, which has reached the High Court. The Court is due to give its verdict after the second round of elections. Should Iohannis be found incompatible eventually and should he win the elections, the outcome of the poll would be in limbo, as officials found incompatible are banned from holding public office for several years. Elena Udrea, 40, is a former lawyer turned politician who moved from the dining company of a younger Victor Ponta more than a decade ago to the forefront of Basescu's political movement, the Democratic Liberals. She is now running for presidency as a candidate for a new Popular Movement Party formed after the Democratic Liberal Party split in two in the wake of heavy losses suffered in the 2012 parliamentary elections. The high heels-wearing, Hermes bag-carrying blonde who would not shy away from provocative pictorials is Basescu's one and only choice in these presidential elections, as the two say she has remained the one and only ally of Basescu, from all those who have supported him but left him throughout the years. Udrea served as a presidential aide, MP and as minister of Tourism and Regional Development, holding one of the richest government portfolios during her serving in the government between 2008-2012. She was married to a very influential businessman who - along other top politicians and businessmen with close ties to her - have become the target of corruption investigations for the past several months. She herself has been accused of corruption in a major investigative campaign by a Romanian newspaper, but no corruption inquiry has so far been launched against her. During this campaign, she benefited of the support of a TV news channel owned by one of Ponta's close friends and political backers. Monica Macovei, 55, is running as an independent in the presidential elections. She is credited as the brain behind the reform of the judiciary in the early years of Basescu's presidency, when she served as minister of Justice. She has since moved away from Basescu and more recently served as a member of the European Parliament, where her focus was put mainly in strengthening European checks on Romanian judiciary and state of law. She has little support back home as she is largely ignored by mainstream media and her campaign - with a rather radical tone of voice against Ponta and other top contenders - has developed mainly in social media. Calin Popescu Tariceanu, 62, is a prominent Liberal who how serves as Speaker of the Senate. He served as PM during Basescu's first term in office, but their alliance built on winning the 2004 elections degenerated rapidly before he ended his mandate in 2008. In this elections, Tariceanu, who has not hide his support to continue a now defunct alliance between Social Democrats and Liberals, split up with the National Liberal Party and opted to run separately for presidency, having support from Victor Ponta's media friends. Ponta himself alluded that he might name Tariceanu prime minister should he win the elections: he most recently said in an interview that a center-rightist should become head of government. Theodor Melescanu, 73, is a long-running diplomat during the Ceausescu regime who has become a politician after 1989. He left the Social Democrats in the early nineties and later joined the Liberals. A low profile but influential politician, he most recently served as head of the Foreign Intelligence Service, where he was named by President Basescu in 2012. He resigned in September this year only to make the surprise announcement that he was running for presidency, despite nobody knowing how he managed to collect the tens of thousands of signatures of support that he filed in order to obtain the right to run in these elections, according to Romanian law. The poll comes 10 years since Traian Basescu took over the Romanian Presidency on the back of a wave of distrust in the Social Democrats, generally seen as the heirs of the communist-era regime, who had led Romania in the early 2000's. Basescu focused his presidency on efforts to strengthen the EU/NATO orientation of Romania, the rule of law and the fight against corruption. He survived two referendums aimed at removing him from power and managed to hold ground against relentless attacks by his opponents, many of whom have been arrested and even convicted under charges of corruption in more recent years. But as his party, the Democratic Liberals (PDL), lost public support after years in the government, in 2012 Basescu accepted to share power with the Social Democrats and named PSD leader Victor Ponta as prime minister, agreeing with him on key nominations for the leadership of top judiciary and anti-corruption bodies. The very same year, he faced a second referendum in which Ponta's party and its allies tried to remove him from office. He survived it, but since then he has struggled to retain his political footing. In these elections, out of several people attempting to represent the opposition against Ponta, he opted to lend his support to long-time crony Elena Udrea, despite her walking in circles of power that transcend governments of all colors, being surrounded by influential business people who are now facing prosecution on corruption charges and herself being the target of media accusations of corrupt practices.